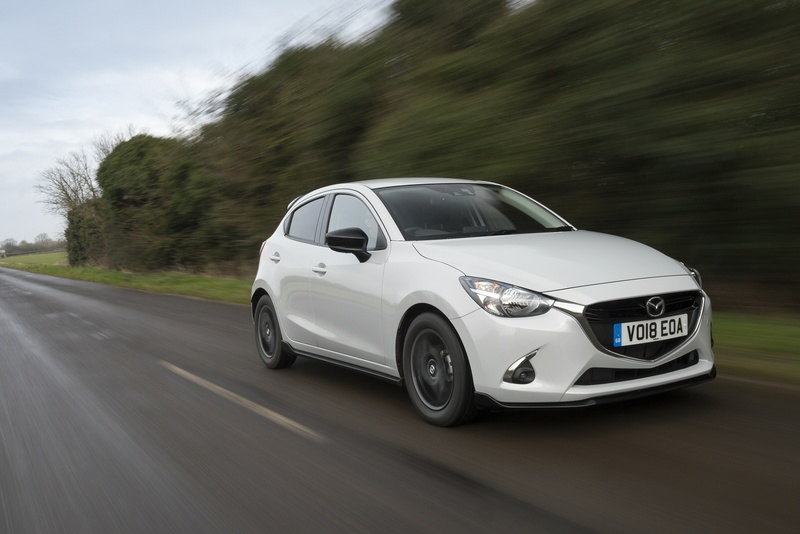 The Mazda2 is a strong option if you're looking for a quality supermini and has been usefully improved in this upgraded form. This update brings extra equipment to build on dynamic changes implemented in 2017. These included torque vectoring for extra cornering precision, plus greater refinement from the SKYACTIV-G petrol engines. As before, this model packs in some big car features into a pertly-styled body and features great real-world economy. It's a real contender to the likes of the Fiesta, Corsa, 208 and Clio. The Mazda2 is going places. The first Mazda2 sold 410,000 units between 2003 and 2007. The second generation model had a seven year run at the market, but had already eclipsed its predecessor's total midway through 2010. Both cars owed a lot to Ford's strategic partnership with Mazda, effectively being rebodied Fiestas which, as anyone who's ever driven a modern Fiesta will happily admit, is no bad thing. For the third generation version, this current car, launched in 2015, Mazda went it alone, this MK3 model '2 riding on its own SKYACTIV chassis technology. At launch, that looked quite a gamble but Mazda has its tail up at the moment after the success of the latest CX-5, '6 and MX-5 models and has no hesitation in making bold claims for its supermini contender. Now, they've further updated the car. Buyers now choose from three versions of the 1.5-litre SKYACTIV-G petrol unit with 75, 90 or 115PS on tap. Power is transferred to the front wheels via five and six-speed manual transmissions as well as a six-speed automatic. All are recently developed compact, lightweight versions of the acclaimed gearboxes offered on other new-generation Mazdas. 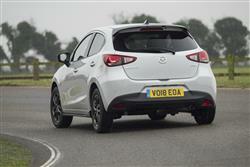 Mazda says that a lot of changes have taken place in recent times with regard to this car's driver-focused dynamics. A clever 'G-Vectoring Control' system has also been introduced which varies engine torque to optimise loading on the wheels when cornering to indiscernibly provide more precise handling and improve comfort. A lot of work has gone into improving refinement too. As before, the suspension has been set up to be Volkswagen-firm which you'll feel on poor surfaces but the flipside of this is that the Mazda2 offers reassuring body control in corners. The steering is an electrically-assisted system, so don't expect bucketloads of feedback, but you can count on clean response and perfect accuracy. For this lightly revised model, front and rear damper settings have been revised to enhance ride quality, while to improve body control, the front anti-roll bar bushing has changed and the structure of the front lower suspension arm has been modified. Additionally, a small recalibration of the electric power steering is supposed to result in improved steering feel. 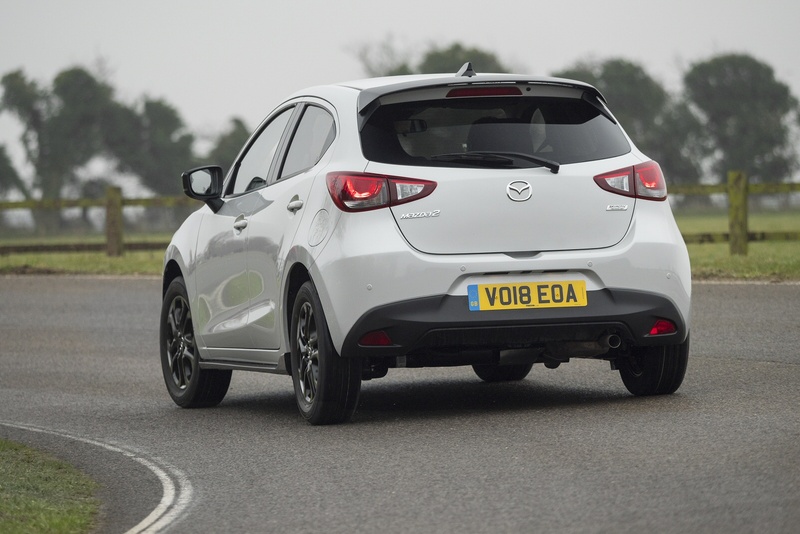 Overall, with a sporty feel and easy manoeuvrability, the Mazda2 is more than just a city scoot. It's got a welcome element of long distance versatility too. All around the world, there are languages dying out but Mazda's designers seem to have one all of their own when they start describing the Mazda2. To most people, the 'KODO - Soul of Motion' design doesn't really mean a lot. Suffice to say it looks quite a bit like the existing Mazda3, which means a flowing blend of curves, lots of shape in the flanks and a gaping front grille. It looks better than it sounds, especially when specified with a decent set of alloys. The interior's probably the biggest surprise. We expected the cabin to be boldly-styled but built out of some shiny plastics and with ergonomics that were a bit hit and miss. It's anything but. In fact, the design is relatively clean and conservative, but the colour combinations that Mazda offers are a knockout and the materials quality is genuinely surprising - especially in this revised model form. All models now feature smarter seat fabrics, a restyled steering wheel and sleeker door mirrors with wraparound indicators. It's spacious inside too. By stretching the wheelbase by 80mm over the previous generation Mazda2, the designers have delivered a decently-sized passenger cell for a five-supermini. There's a big glove box and door pockets that can hold large bottles. The boot's deep and boasts 280-litres of room with the seats in place or 960-litres when they're folded. Priced from just over £13,000 to just over £17,000, the 2018 Mazda2 range features and sngle five-door bodystyle and five revised trim levels: 'SE+', 'SE-L+', 'SE-L Nav+', 'Sport Nav+' and 'GT Sport Nav+'. The base 'SE+' variant comes only with the entry-level 75PS engine and now features 15-inch alloy wheels, heated power fold mirrors, 60:40 split rear seats and electric rear windows. Offered with both the 75 and 90PS engines, the 'SE-L+' and 'SE-L Nav+' models also have enhanced equipment with the addition of dusk-sensing lights, rear parking sensors, rain sensing front wipers and climate control air conditioning. Matched to the 90PS engine, the popular 'Sport Nav' trim gets you a black rear roof spoiler, while the range topping 'GT Sport Nav+' variant can be ordered with either the 90 or 115PS engine. All 'GT Sport' models now get a reversing camera. 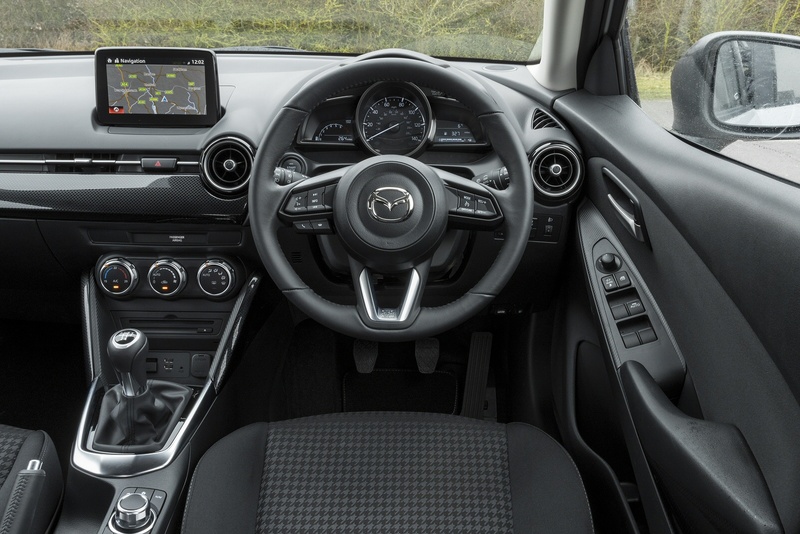 Plusher versions of the Mazda2 feature the ingenious Active Driving Display - the first head-up display in this class - and lots of safety kit. This includes an auto braking function, blind spot detection, a lane departure warning system and high beam control that automatically dips the lights so as not to blind oncoming vehicles. The front, side and curtain airbags have all been redesigned to offer better occupant protection while the front end crash structure has been improved markedly. Hence this model's five-star EuroNCAP rating. If you�re looking for a new Mazda 2 1.5 GT Sport Nav+ 5dr Petrol Hatchback for sale, you�ve come to the right place. 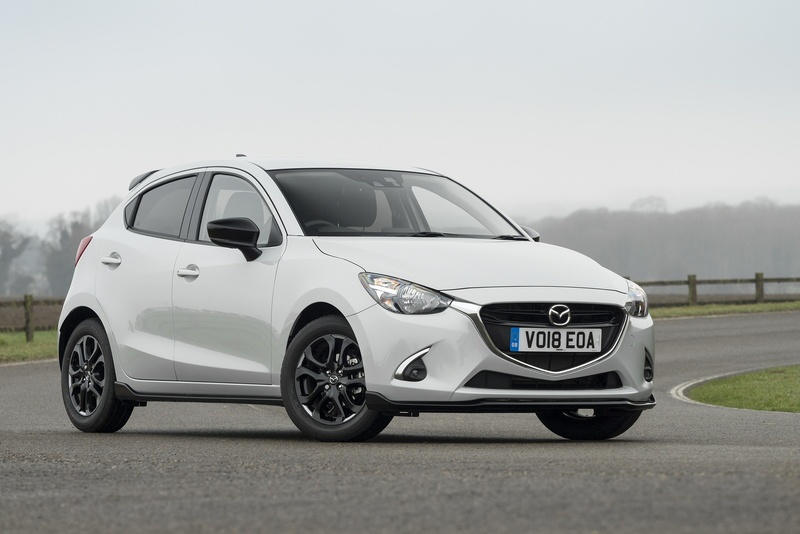 At Bristol Street Motors we don�t just have the best Mazda 2 1.5 GT Sport Nav+ 5dr Petrol Hatchback deals, we also offer friendly advice and help with all your enquiries to ensure your buying experience is a happy experience.